Empowerment weekends, strategy sessions, learning how to speak with confidence are a great part of your strategy but these do not replace business planning led by a coach that is familiar with your overall plan. Attending these types of sessions will give you subject specific knowledge but you need to know how to coordinate and organize all the information in a coordinated way. Don't try to cobble together the advice of 10 different business experts. 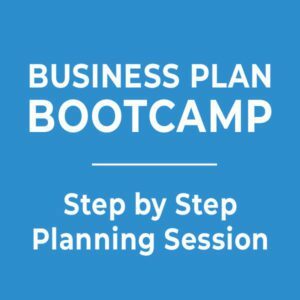 Working on developing your plan with Business Plan BootCamp planning system first will help you identify the specific experts you need to contact and what specific advice you need from them.